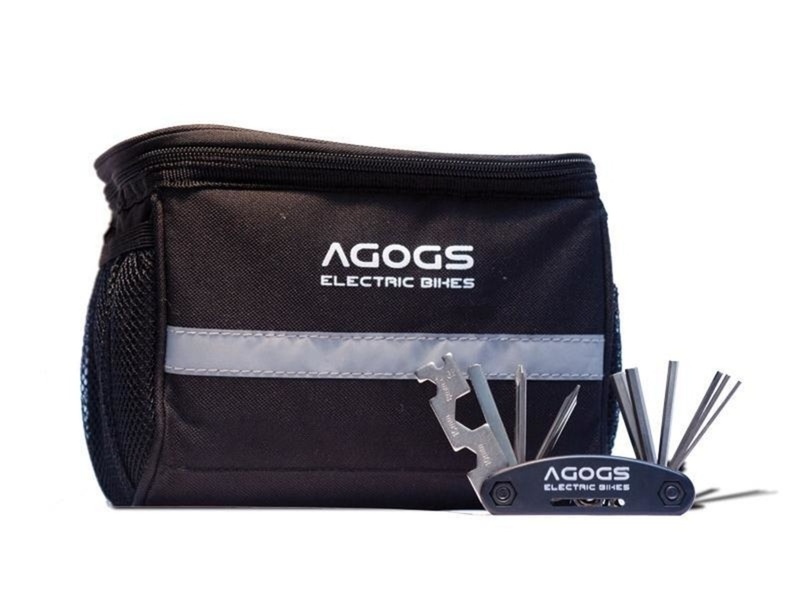 The bag is fully designed to protect the contents even when dropped or hit. 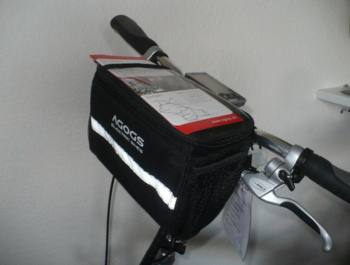 It contains mesh pockets on the sides to hold bottles or snacks. 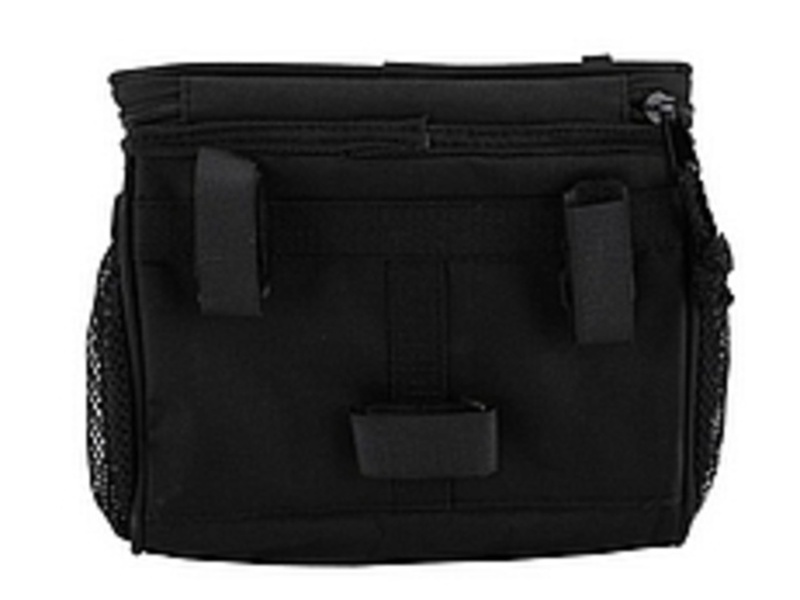 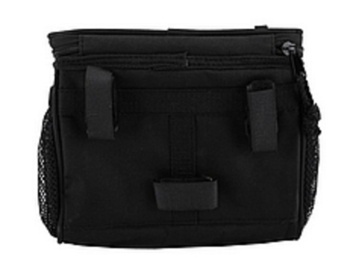 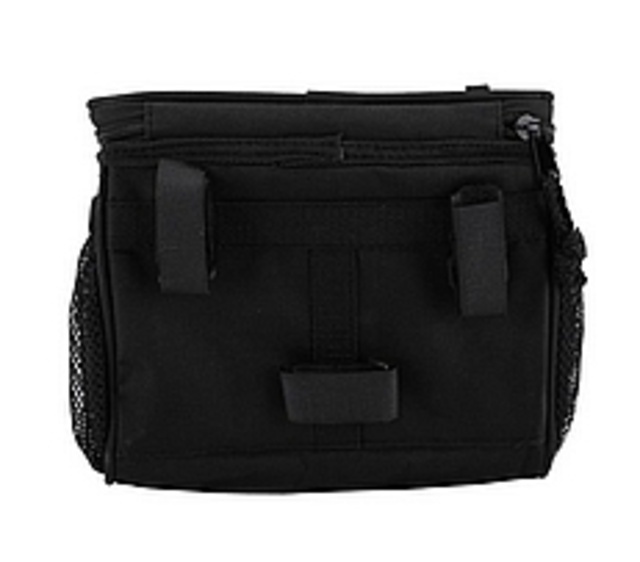 Bag with three sticky handlebar clasps.